Ginisology: I am so Surprised and very Honored!! I am so Surprised and very Honored!! 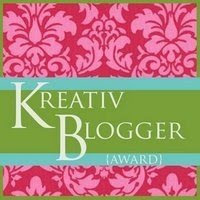 picked me to to receive the Kreativ Blogger Award, I am truly a lucky girl. 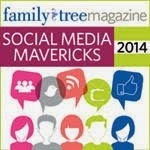 Mysteri is the reason I am here and started blogging! Her support and encouragement helped me to finally create my blog. I thought it would be a long time before I was awarded anything! I have a long way to go before catching up with the other wonderful blogs here. Thank you Mysteri, thank you very much! I agree with Mysteri, it was really tough to only pick 7! I still have this big smile on my face Mysteri, you made my week, again thank you. It is so great to hear from a new reader! Thanks for the comment, Oma! Gini, you SO DESERVE this award! I'm happy that Mysteri awarded it to you--good choice! I'll be in touch more when I'm not covering so many bases! Keep blogging! And you take care of GINI! Gini, Thank you for this award I do appreciate it. Les, you are very welcome.